Simulator equestrian sport. New from Dreampix "Concour"
Have you ever dreamed of being in a saddle or since childhood imagining yourself as an equestrian? Maybe you just adore horses and everything that is associated with them? In this case, our new product is for you! 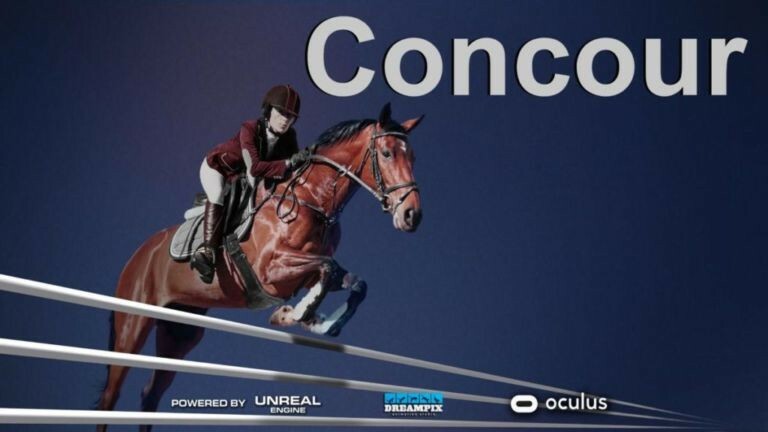 The game-simulator of equestrian sport “Concour” is an imitation of horse competitions on hurdle race. Steeplechase is the youngest, but the most massive and exciting kind of equestrian sport, interesting but sometimes dangerous, but thanks to the simulator of the virtual reality X-Machine and the new Dreampix game, you have a unique opportunity to experience live emotions without risk to life and health! The hooves thud, wind in your hair, jumps and easy shaking will allow you to plunge into the amazing and real world of hurdle races. The Dreampix team has done everything possible to surprise and immerse you in the extreme world of equestrian sport: incredible graphics, clarity and brightness, perfect audio accompaniment, the speed and wind effect- all this was done for you and your pleasure! You no longer have to deny yourself the desire to ride a horse, take part in steeplechase or unwrap an unreal speed for fear or self-doubt. 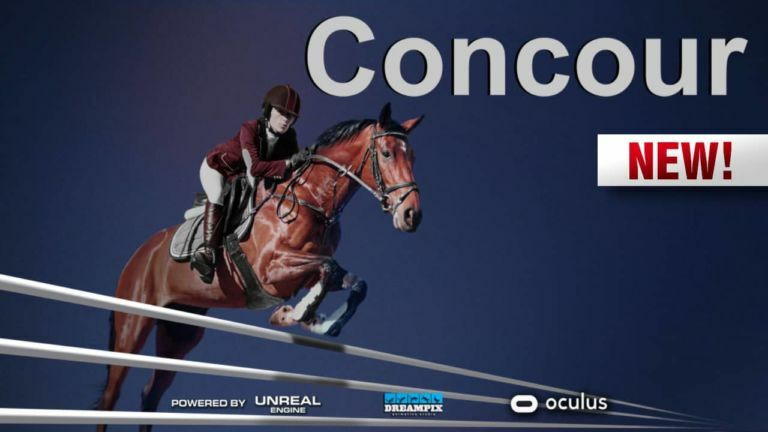 VR game-simulator “Concour” will bring you no less pleasure than the real equestrian sport! Thanks to the interactive platform of X-Machine, the movement of the horse, its jumps and turns depend only on you, and VR-glasses will help you to plunge into the game with a head. We assure it will be extremely difficult for you to stop! Insanely exciting, dynamic and 100% realistic game will not leave indifferent even the professionals of equestrian sport!